Do you want to create a noticeable shop that keeps customers coming back for more? Here are some branding basics to get your creative juices flowing. Branding once meant burning a bull’s backside (ouch!) so people’d know whose it was. When we talk about branding today, there’s still plenty of bull to go around (and a certain amount of ouch), but it isn’t just something to make cows and corporations distinctive. Now, branding is applied to everything and everyone. Including you. Maybe you think brands are things with corporate offices, PR people, and over-the-top commercials. But we all have brands, whether we realize it or not, and succeeding in business (and in life) has a lot to do with how effectively our brand is defined, communicated, and understood. Just What Is a Brand? It’s more than just a tagline, a logo — or in Mr. Clean’s case, a big bald man with an earring. A brand is an expectation, a perception, and branding is about crafting and communicating that perception. The trappings that help shape a brand’s image — jingles, mascots — exist as a shorthand to bring that perception to mind. If we ask 100 people to describe Kim Kardashian, they’ll give us fairly consistent adjectives (and mention a certain body part, I’m guessing). The same would happen if we asked folks about Apple, Fox News, or Martha Stewart. These companies, products, and celebrities are all strong brands. Take Fox News; some love it, some… not so much, but everyone knows nothing too terribly Kumbaya is ever going to come out of anyone’s mouth on Fox News, which is thrilling or disturbing, depending on your politics. But everyone knows what to expect from them. Your shop should have a brand, too, to let people know who you are, what you care about, why they should care about your product — what they can expect. A strong brand can attract new customers and keep existing ones loyal. But first, you have to know what it is. 1. WHY do you make (or sell) your items? Think about how your story fits into your brand. In an environment like Etsy, a big part of the appeal is the authenticity and personal aspect of what you do. The story behind your products can attract customers because it makes what they’re buying special — and by extension, it makes them feel special. Read tips for telling your story in How to Make Your Items Gift-Worthy. 2. WHAT is important and consistent about your product? HOW is your product different? What is your Unique Selling Proposition? What does your product reliably and uniquely bring to the table? Your “USP” is a way of expressing what you offer, what you value, and what people can expect. 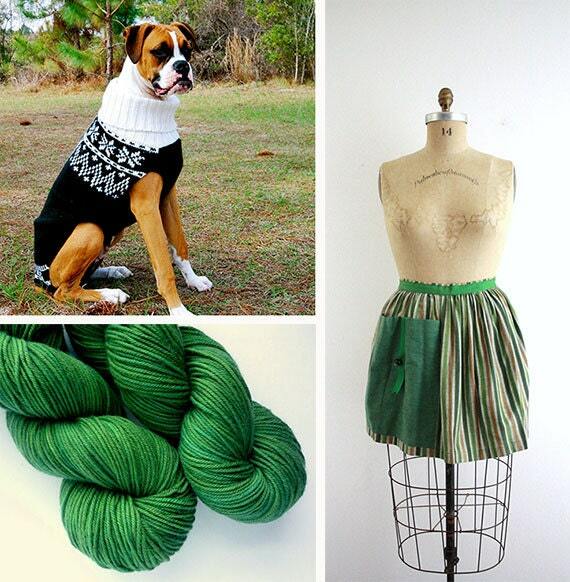 Think about what you sell: What makes your dog sweaters different from other dog sweaters; why is your hand-dyed yarn special; how do the vintage aprons you sell kick others’ vintage aprons’ asses? Think about what you offer from your customers’ perspective: What is unique about you that can serve their needs? 3. WHICH words would you use (and want other people to use) to describe your items? Don’t fall into the trap of trying to be everything to everybody. Think about who your likely customers might be and build a brand to appeal to them. How old are they, what kinds of TV shows do they like, how much money do they make, where do they live — anything that might help you zero in on prospective buyers’ mindsets. Do you make jewelry with skull and vampire motifs? Maybe preppy colors and peppy taglines aren’t the way to go. Be CLEAR. The simpler and clearer the message, the better chance you have of standing out and being remembered. Again, don’t try to be a lot of things to a lot of people. Stand for one thing in a big way. Be COHESIVE and CONSISTENT. Make sure your brand messaging makes sense across platforms. If your Etsy store conveys glamorous and gutsy, your emails, social media marketing, flyers, and business cards should as well. COMMUNICATE your brand in all your packaging: Your shop’s name, logo, fonts and colors should all align with your brand’s core attributes. Know your CUSTOMERS. Business, like life, comes down to relationships. Build relationships and you’ll build your brand and your business. Know your customers — what they like, what they want, what they need — and how you can deliver all three. Encourage feedback in your About page and social media channels. I always say, the best marketing is the kind other people do for you. CAPTURE attention. Be direct, be authentic, be helpful, be funny, be bold, or be surprising. Be memorable. 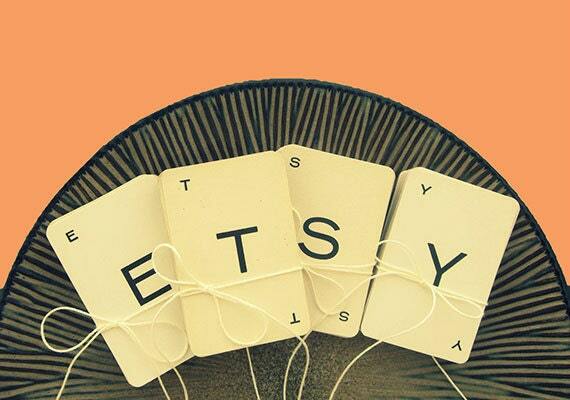 What's your Etsy shop brand all about, and what are your branding tips? Share your insights in comments. Dixie Laite is a digital content marketing and branding consultant, and a Senior Editorial Director at Nickelodeon. In her copious spare time, Dixie blogs on The Lost Art of Being a Dame (occasionally), collects and sells vintage femorabilia (incessantly), and takes care of her two dogs and four parrots (relentlessly). She’d love to connect with you on Twitter @DameStyle, Pinterest, and Tumblr.